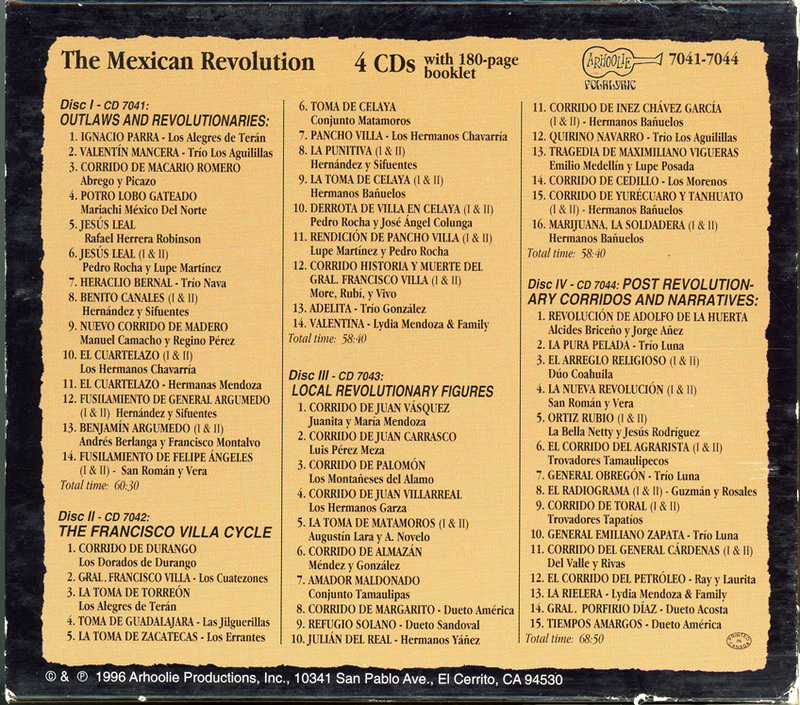 Staff Notes: “Corridos about the Heroes and Events 1910-1920 and Beyond!” Includes 180 page booklet, with in-depth notes, pictures, transcriptions, translations and Track Listing. Original Release #’s: C 2201-X (W-93731). Edited & Annotated: Guillermo E. Hernandez. Box Set Disc 4. 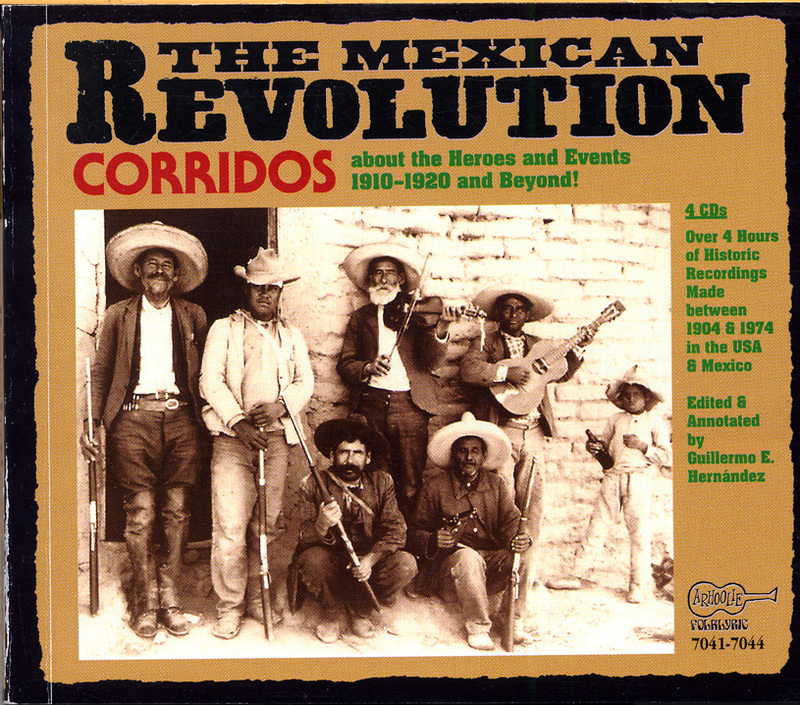 “Corridos about the Heroes and Events 1910-1920 and Beyond!” Includes 180 page booklet, with in-depth notes, pictures, transcriptions, translations and Track Listing. Original Release #’s: C 2201-X (W-93731). Edited &amp; Annotated: Guillermo E. Hernandez. Box Set Disc 4.